This action represents what has been a trend in the field of all motorsports where the depressive effects of the sub-prime mortgage crisis and its expansive economic downturn have prompted team mergers, layoffs, and outright cancellation of a team’s racing effort. Major corporations are trimming their advertising and sponsorship budgets much to the demise in the growth of all forms of motorsports. American driver Ryan Hunter-Reay drove for RLR last season and won the race last July at Watkins Glen. Spokesmen for Rahal Letterman Racing say it will continue to seek sponsorship as well as concentrate on its sports car alliance with BMW in the American Le Mans Series. Hilliard's Rahal Letterman Racing team -- winner of the 2004 Indianapolis 500 -- likely won't stage an Indy Racing League effort for the 2009 season, general manager Scott Roembke said today, but it's not as if the team is shutting its doors. The team will foot a full-season effort in the GT division of the American LeMans Series carrying the BMW banner. It just finished three days of extensive preseason testing in Sebring, Fla.
At the moment, though, the team, whose primary owner is three-time IndyCar series champ Bobby Rahal, has no sponsor for an IRL effort. 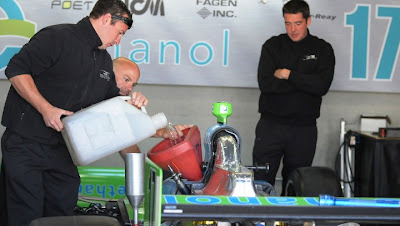 Its primary sponsor from a year ago, Ethanol, pulled its support in the wake of the recession economy and efforts to land a replacement leading up to the April 5 season opener have been fruitless, Roembke said. "At this time, we will not be in the IRL for 2009," Roembke said this morning. "But we continue to pursue sponsors for the IRL season and for the Indianapolis 500." Rahal Letterman won the 2004 Indy 500 with driver Buddy Rice, and ushered Danica Patrick into the IRL in 2005, during which she was the Indy 500 rookie of the year. She jumped to the Andretti Green Racing team in 2007. Rahal Letterman Racing co-owner Bobby Rahal says his team should not be counted out of the 2009 IndyCar Series despite suggestions that they would have to withdraw from the championship due to a lack of sponsorship. "As I said in the quote from the story, as of this time we do not have any sponsorship that will allow us to compete in the IRL in 2009, but by no means does that mean that we are giving up," Rahal said. 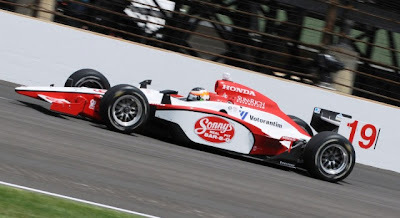 "We are continuing to search for sponsorship to run the 2009 season and to run in the Indianapolis 500 and we feel that there is still time for us to put something together that will allow that to happen." RLR's Indy Lights programme in conjunction with Andersen Racing is already confirmed for 2009. It was not widely publicized, but the New York Times Company had a financial stake in one of the most recognized racing teams in NASCAR, Roush Racing. 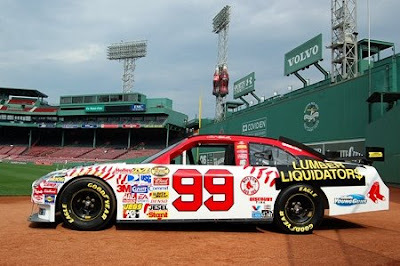 The Gray Lady (or as some have nick named the paper, Fish Wrap) acquired an interest in this motorsports venture when the Boston Red Sox owner John Henry aquired the team and unveiled the car at Fenway Park prior to last June’s Lenox Industrial Tools 300 at New Hampshire. 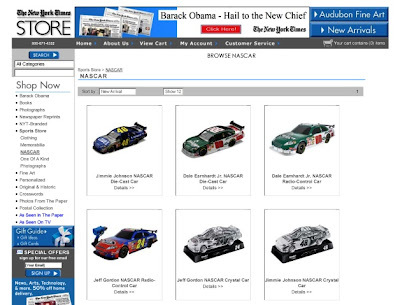 The NYT, through its motto printed in the upper left-hand corner of the front page, "All the News That's Fit to Print", never revealed that it had invested in a leading NASCAR team … and if it had, may have actually bolstered its image outside of the upper west side of Manhattan and slowed down its demise in subscriptions. Hard as it is to keep up with the current financial tentacles that are becoming more convoluted with each merger or “alliance” of NASCAR teams it’s understandable some things sail under the radar of daily news. 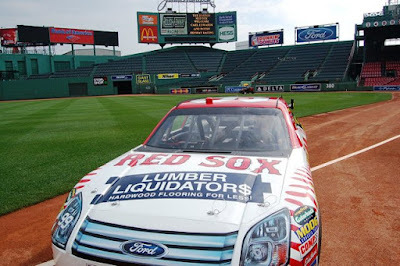 We’re all familiar with the investment Boston Red Sox owner John Henry took in the Roush Racing team. 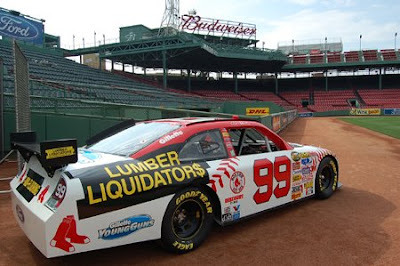 It was all very high profile with Roush and Henry presiding over the unveiling of the #99 Red Sox/Lumber Liquidators Ford Fusion at Fenway Park. Henry acquired a 50 percent stake of Roush’s racing empire for $62 million, that added to Henry’s own empire that includes the Fenway Sports Group - a wholly-owned subsidiary of New England Sports Ventures, the ownership group of the Red Sox, Fenway Park, and New England Sports Network. However, there was another financial player involved with a 17.75 percent ownership interest in New England Sports Ventures. That player, unknown to this itinerant blogger and usually referred to as the “Fish Wrap,” (one of many) is the New York Times. This has come to light with the news the Times is searching for a buyer the New England Sports Ventures portion of its investment portfolio and has retained Goldman, Sachs & Co. as its financial advisor for the possible sale. 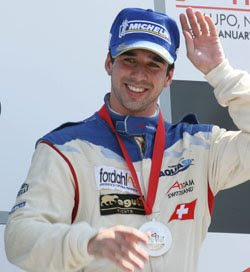 Neel Jani drove for the PKV Racing team in the Champ Car World Series in 2007. He ended the series in ninth place with a total of 231 points. After choosing to focus on the 2007-2008 A1GP season rather than stay in ChampCar/IRL for 2008 season (the series was absorbed by the IRL). Jani has not been linked to any 2009 IRL rides to date. PKV Racing became KV Racing Technology upon the transition phase of ChampCar into the IRL at the beginning of the 2008 season. Team Switzerland's Neel Jani took advantage of a Team Ireland pitlane mishap to win the feature race in this weekend's A1GP round at Taupo. After a brilliant start from fifth, Jani had been running second behind Ireland's Adam Carroll until the pair made the second and final of their compulsory stops. Both pitted on the same lap and the Irish crew was able to release Carroll into the lead, only for the car to suffer a problem with its anti-stall and stop momentarily in the pitroad. Ironically, it stopped right beside the Swiss pit crew, who were just completing their own stop, and by the time Carroll had got his car moving again Jani had already gone past. Yesterday marked the first day Panasonic Toyota Racing debut its new sled that will campaign for the title of the 2009 Formula 1 open wheel motorsports racing season. The team's eighth season in Formula 1 sees major rule changes so the new TF109, revealed exclusively on www.tf109-premiere.com, looked considerably different to its predecessor, featuring wider front wings and narrower rear wings among other modifications. The test, yesterday, completed an exhaustive development process which began in October 2007, when the 2009 regulations were confirmed. The TF109 began pre-season testing at Algarve Motor Park in Portugal. Despite the TF109's fundamentally different appearance, Panasonic Toyota Racing's ambitious goals remain, as Chairman and Team Principal Tadashi Yamashina states: "Our target this year is to fight to win the first race for Toyota in Formula 1." 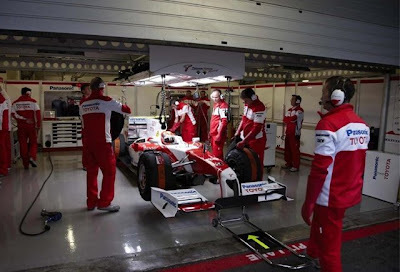 The significant progress shown in 2008, when the team hit its targets of returning to the podium and significantly increasing its points total, has bred confidence. Panasonic Toyota Racing achieved two podiums, one front row start and, with 56, scored more points than in 2006 (35pts) and 2007 (13pts) combined. A Toyota was in the top 10 on the starting grid for 14 of the 18 Grands Prix, finishing in the points 12 times, with nine top-six finishes. President John Howett says: "We have gained a huge amount of knowledge and improved considerably. There are many elements of our team which are at the very highest level so the challenge now is to fill any gaps and ensure the entire organisation is performing at the very top. Then we must put all the elements together and deliver the success we are all fighting so hard for." Panasonic Toyota Racing got its 2009 testing programme underway today at a new venue for the team; the Algarve Motor Park in Portugal. Kamui Kobayashi was at the wheel for the first pre-season tests of the TF109, which was unveiled for the first time on www.tf109-premiere.com last week. After conducting a successful and trouble-free roll-out of the TF109 yesterday, Kamui continued to work on the team's kinetic energy recovery system (KERS), which is being used on track for the first time this week, as well as performing systems checks and gathering information about the new car. Unfortunately, wind and rain, particularly in the afternoon, disrupted the programme. Jarno Trulli takes over from Kamui tomorrow. "Today has gone well and I am happy with the new car. It has been an interesting experience to drive with KERS for the first time and we are understanding more about the system all the time. This is my first time driving at this track and I have to say I am very impressed; the lay-out is really exciting and quite challenging for a driver. 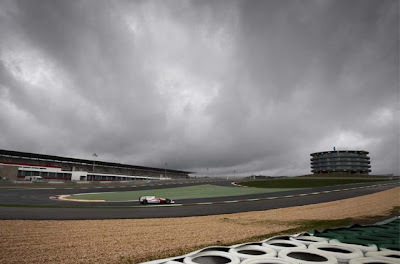 The weather was far from ideal, especially in the afternoon, so that meant we could not spend as much time on track as we planned." "It is always a very exciting moment to see your new car begin pre-season testing and that is especially true this year after such a significant regulation change. Overall I am very pleased with the initial results from the TF109 and I believe we have good reason for optimism. Of course, it is very difficult to make comparisons to the other teams in the winter, and that is particularly true when the weather is not very good. In addition to the usual challenges of testing a new car, we worked with the KERS system again today. This is a new technology to Formula 1 so there is a huge amount to learn but our hard work in the factory meant we were quite well prepared for this first test and we have collected a lot of important information." Cost-saving is high on the Formula 1 agenda and Panasonic Toyota Racing in the design of the TF109 was committed to reducing expenditure while maintaining the sport as the pinnacle of motor racing. 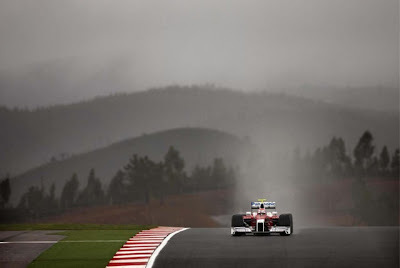 The Formula One Teams' Association (FOTA) and the International Automobile Federation (FIA) have agreed significant reductions for 2009, including a ban on in-season testing, wind tunnel restrictions and factory closures for six weeks a year. So, heading into a fascinating Formula 1 season, Panasonic Toyota Racing is completely committed to success on and off the track. The 2009 season starts with the Australian Grand Prix in Melbourne on 29 March, while the 17th and final race is the inaugural Abu Dhabi Grand Prix on 1 November. A1GP World Cup of Motorsport prepares to hit the track for the first races of 2009 as Round 4 of the A1GP World Cup of Motorsport takes place at Taupo, on the North Island of New Zealand, from 23rd to 25th January. For the third visit to the Taupo Motorsport Park, the series will break with tradition and the Sprint race will have a standing and not a rolling start. The decision was taken on safety grounds, as in the past there have been collisions due to the tight "S" bend close to the start. Current championship leader, A1 Team Ireland, is enjoying being top of the tables heading into the Christmas period. Its star driver, Portadown’s Adam Carroll, was honoured by Ireland's motorsport media with their Manley Award for International Driver of the Year last Tuesday (9 December). 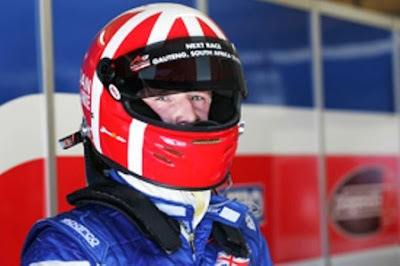 Carroll's race performances in A1GP saw his name added to the prestigious trophy, which has been won in the past by Formula One drivers Eddie Irvine and Martin Donnelly in the past. "It was a nice surprise," said Carroll of his award win. "I wasn't expecting it and it's an honour to see my name included on the trophy alongside so many great names from Ireland's motorsport past. It's been a great start to the season for us and, while the job is far from finished, it's nice to be receiving recognition for our achievements." 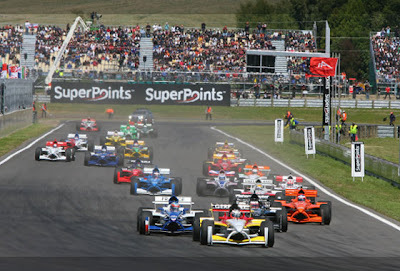 Taupo Motorsport Park is gearing up for the first event of the New Year with Managing Director David Steele saying that everything has been done to make the 2009 A1GP Taupo, New Zealand event the best yet. The circuit has done a lot of work over the past year to help eradicate the dust problems at the first and second races, but Steele believes they have it under control. 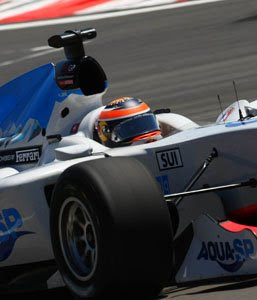 The one thing that seems to be shaping up for the 2009 IRL season is that the transition teams (T-Teams) from ChampCar are bent on keeping their own in play. KV Racing Technology have signed Mario Moraes for the 2009 IndyCar Series. 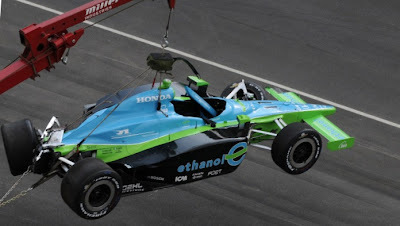 The 20-year-old Brazilian jumped straight from British Formula 3 to IndyCar with Dale Coyne Racing last year and made steady progress during his rookie season, taking a best result of seventh at Watkins Glen, although several other promising performances ended in accidents. "We are very excited to have Mario join our team," said team co-owner Jimmy Vasser. "Mario is young and extremely talented. He impressed us with his performances on both ovals and road/street circuits last year. "We look forward to watching him grow and are confident he will be very competitive during the 2009 season." Moraes believes he will make great progress with KV. "I want to thank (team owners) Kevin Kalkhoven and Jimmy Vasser for this opportunity," he said. "I think KV Racing Technology provides me with the best opportunity to develop as a driver and advance my racing career. I am really looking forward to working with the entire KVRT organization in 2009." There had been question marks over KV's IndyCar future during the winter due to the loss of the Surfers Paradise race, which had been key to their main backer Craig Gore's involvement with the series. 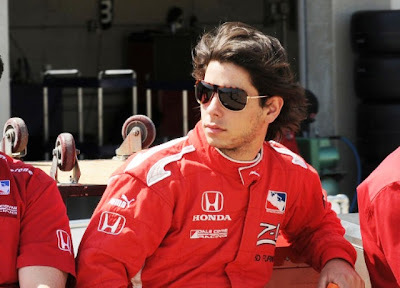 It is not known at the time of this post where last years drivers for KV Racing Technology, Will Power and Oriol Servia, will be driving or if any will be resigned by KVRT or another IRL team for 2009. UPDATE: Will Power set to sign an agreement to ride for Penske in Helio Castroneves's seat as Helio concentrates on his upcoming legal trials on his potential of evading the payment of taxes. News conference to announce this T-Team crossover event is set to be held in Indianapolis at 2:30 PM, local Indianapolis time. Formula One racing team management meet outside of London, England over the last few days in order to draft and agree on new rules aimed at addressing the world economic downturn due to the problems brought on by the sub-prime lending debacle here in the United States. 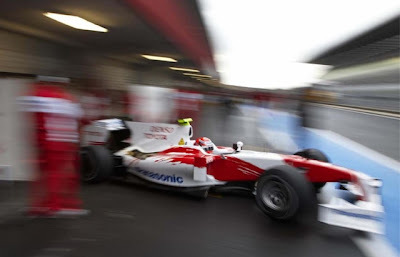 Tight money will affect motorsports racing activity starting in 2009 and may last for an estimated 24 to 48 months or more with reduced investment by consumer product companies in advertising. The Formula One Teams Association (FOTA), in an effort to reduce operating costs for all Formula One teams met in Heathrow and all the Members unanimously agreed a number of important principles and supported the process now established within FOTA. The teams detailed and signed a comprehensive Aerodynamic Test Restrictions Agreement, effective in 2009. Furthermore, the Teams agreed that they would develop and freeze low cost transmissions for the 2010/12 seasons which would have a six race life, priced at € 1.5 million per season per team. FOTA also reaffirmed its commitment to a € 5 million engine supply from 2010 for independent teams, who have expressed their agreement with and support for this arrangement. The FOTA Technical Regulations Working Group will now conclude the elimination of expensive materials and identify further opportunities to reduce the cost of components and systems which do not deliver performance differentiation. All of the Teams present wished to express their support for the entrant currently known as Honda and they will agree to any name change registered. All of the Teams are committed to working together in a rational and systematic manner, within the framework of FOTA to effectively reduce the costs inherent to Formula One. The same approach will now be used to improve the spectacle of the sport, following the outcome of the FOTA commissioned market research.